One week a month, Watch This offers staff recommendations inspired by a new movie coming out that week. This week: In honor of the new sequel to the modern classic The Blair Witch Project, we look back at some of our favorite found-footage horror films. 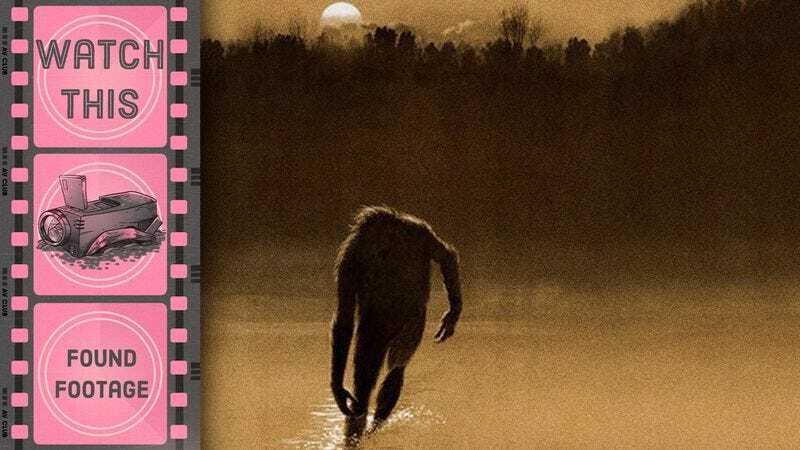 Boggy Creek was a word-of-mouth phenomenon: Without any studio support, it played almost continuously throughout the 1970s—largely on the drive-in circuit—ultimately taking in the then-astronomical sum (for an indie) of $20 million. And it earned its success: Even today, the movie induces a state of almost childlike giddy terror. If Pierce (who passed away in 2010) wasn’t the most sophisticated of directors, he was very good at tapping into what could be called the “natural uncanny.” Much of the movie was shot at dusk, with the sun sinking blood-red over the bayou treetops, and the sound design—which leans heavily on frogs, crickets, and loons—puts the viewer right there in the middle of it all, alone. At one moment the camera might land on a swaying tree branch or some critter; then an abrupt zoom or rack focus thrusts into an adjacent part of the swamp, just in time to catch a dark silhouette loping out of frame. Pierce may not have invented the half-glimpsed creature trope—the Patterson-Gimlin Bigfoot footage of 1967 probably got that ball rolling—but he perfected it long before In Search Of…, Unexplained Mysteries, The X-Files, and all the rest. Of course, Boggy Creek is frequently a hoot as well, with performances and a shooting style that seem to have come directly out of a 1950s industrial film. And how about those musical interludes? Fans often cite the mid-film tune “Hey Travis Crabtree” as Boggy Creek’s dorky highlight, but the title song is the true standout, in which an unseen balladeer speculates about the creature’s fragile emotional state and concludes that he probably just needs companionship: “Perhaps he dimly wonder why / There are no others such as I / To touch, to love before I die / To listen to my lonely cry.” Pierce went on to make the similarly doc-styled (and similarly spooky/silly) The Town That Dreaded Sundown, and while that’s also a lot of fun, it doesn’t have the same primal appeal. Ultimately, The Legend Of Boggy Creek is in a class all its own, and if it isn’t exactly a work of art, it’s an authentic bit of folk Americana. Availability: The Legend Of Boggy Creek is available on DVD from Netflix or possibly your local video store/library. It can also be rented or purchased digitally on Amazon.